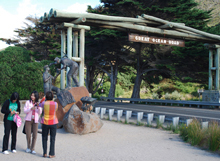 A very popular stop-over for visitors to the Great Ocean Road is the Memorial Arch a few kilometers from Aireys Inlet and just past Fairhaven. Plenty of parking - but be careful when slowing to turn in. 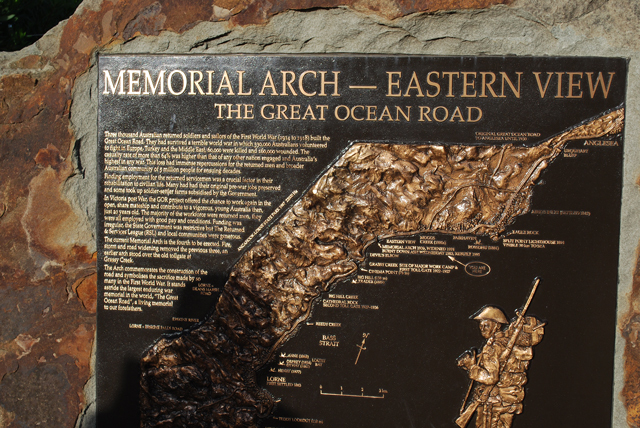 Marvel at the Bronze statues of the returned servicemen who built this famous road. They had survived a terrible world war in which 330,000 Australians volunteered to fight in Europe, Turkey and the Middle East, 60,000 were killed and 160,000 wounded. The casualty rate of more than 64% was higher than that of any other nation engaged and Australia’s highest in any war. 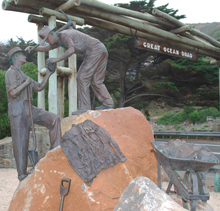 The loss had immense repercussions for the returned men and broader Australian community of 5 million people for ensuing decades. Finding employment for the returned servicemen was a crucial factor in their rehabilitation to civilian life. Many had had their original pre-war jobs reserved and some took up soldier settlement farms subsidized by the Government. 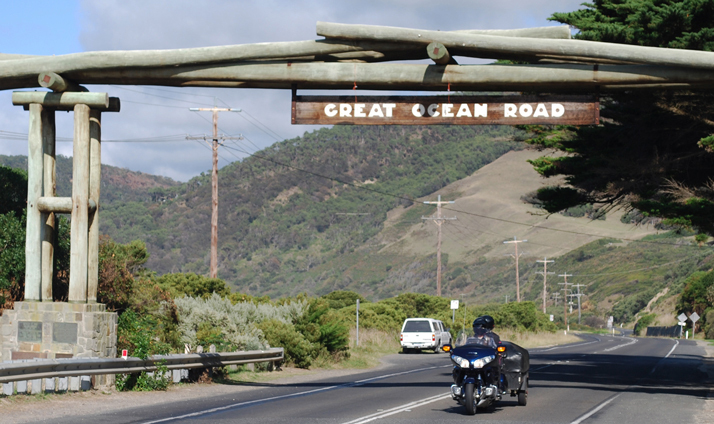 In Victoria post War, the Great Ocean Road project offered the chance to work again in the open, share mate-ship and contribute to a vigorous, young Australia then, just 20 years old. The majority of the workforce was returned men; they were all employed with good pay and conditions. Funding was irregular, the State Government was restrictive but the Returned & Services League (RSL) and local communities were generous. 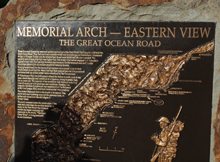 The current Memorial Arch is the fourth to be erected; fire, storm and road widening removed the previous three, an earlier arch stood over the old tollgate at Grassy Creek.